In a league dominated by upperclassmen like the Atlantic 10, seasons often hinge on the ability of juniors stepping up following their underclassmen years. This junior class is full of players with the ability to alter the course of their school’s seasons. For the sake of refining this list, no two players from the same team and no transfers making their A-10 debuts this year have been selected. Here are the five juniors to watch this season in the Atlantic 10. Dayton has arguably the two most talented juniors in the conference in Xeyrius Williams and Josh Cunningham. With so many seniors playing key roles last year, Williams and Cunningham contributed in other ways, while Cunningham was limited after an early-season injury derailed his season. This year, Williams is the player on Dayton who intrigues me the most. While he averaged a modest 8.2 points per game, he did everything that was asked of him and more. Standing at 6’9” Williams shot 41.5% from three—45.1% during conference play—and 48.4% from the field while using his length and athleticism in a variety of ways. The question for him this year will be if he’s able to maintain that efficiency while more is asked of him. He will not have Scoochie Smith there to set him up for open looks, and with point guard being a major question mark in Dayton’s lineup, Williams will have to create more for himself and others than ever before. Dayton has been among the class of the A-10 for years, but if they want to stay there, Williams will need to step up his production and reach his potential. George Mason is another team led by two junior studs in Otis Livingston II and Jaire Grayer, but Livingston will be the clear leader of the offense this season. After averaging 14.3 points per game last season and with Marquise Moore graduating, Livingston will ignite the Patriots up-and-down offense. Livingston has been a major contributor from the day he stepped on campus, but this is the first year he will also be looked at to be more of a distributor. George Mason has a perimeter-oriented roster so they wont have to rely on one playmaker, but Livingston will be The Guy and should improve from the 3 assists per game average he in 2016-17. Look for Livingtson to take advantage of his best attribute even more this season: getting to the line and converting. Last season he attempted four free throws a game and converted at an elite 91.9%, making him a menace attacking the rim and closing out games in the final minutes. 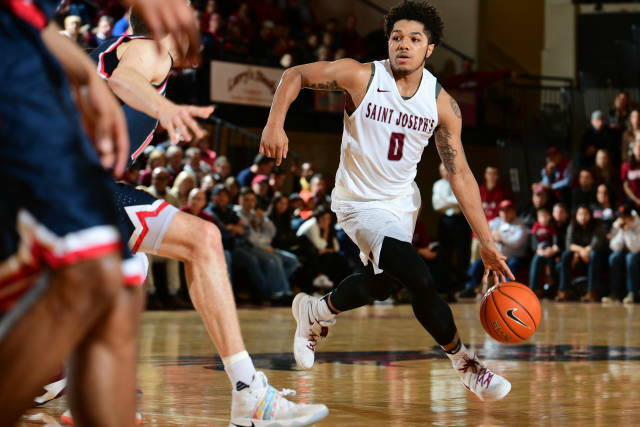 Count me in as one of the people who believes St. Joe’s can finish near the top of the A-10 this season, and Lamarr Kimble is a major reason why. With senior Shavar Newkirk alongside him, the Hawks will boast one of the most dynamic backcourts in the conference. Kimble came in and contributed right away for an NCAA tournament team, coming up big with 11 points against Oregon. Since, he has established himself as a leader of the program who now looks to return St. Joe’s to the tournament following a disappointing season. With Newkirk coming back from injury and electric sophomore Charlie Brown dealing with his own health issues, Kimble will be tasked with leading the team and getting young guys acclimated to their roles before conference play begins. Once the team is fully healthy, Kimble and Newkirk will be an excellent backcourt tandem who, along with Brown, James Demery and numerous promising underclassmen, could be one of the biggest threats to Rhode Island winning the A-10 title. In what has been an up-and-down first few years at Fordham for Jeff Neubauer, Chartouny has been the one consistent bright spot. The point guard from Montreal is a classic stat-sheet stuffer, averaging 11.7 points, 5.5 assists and 4.7 rebounds per game during his career. He uses his size and savvy to set teammates up and take advantage of what the defense gives him. While Chartouny’s ability to run an offense is impressive, it is his ability to change the game defensively that makes him a special player in the A-10. Averaging 2.7 steals per game for his career, Chartouny is a ball hawk that does not only force turnovers but also gets offenses out of their comfort zones. He has led the conference in steals the last two seasons, while also ranking second in the NCAA last season with a 5.9% steal percentage. The Minutemen from Amherst would storm my apartment if I left Rashaan Holloway off of this list. The biggest man in the Atlantic 10 looks to bring UMass back to relevancy in what most believe will be a transition year under Matt McCall. 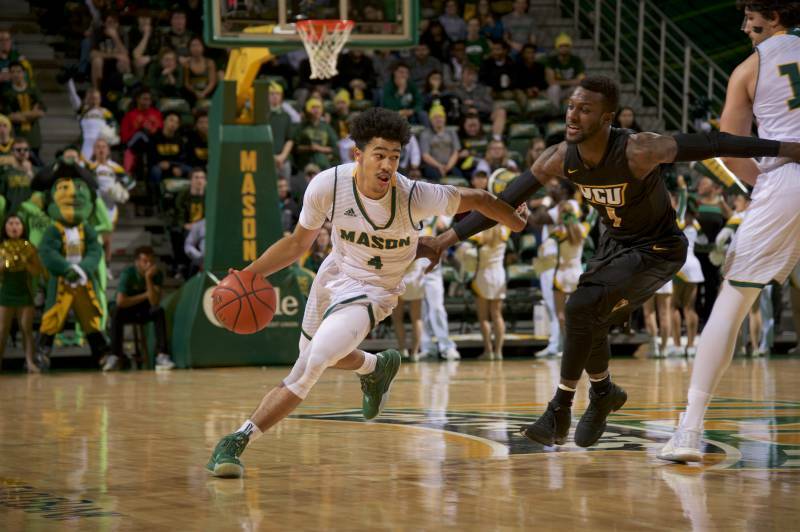 Holloway’s combination of size and skill make him a quality player, but he can be even more effective this year because no team in the A-10 has an obvious defensive answer for him. Players such as Justin Tillman and Hasahn French are athletic but don’t have the height to stop Holloway in the post. Will Magarity has the height and length to defend him, but Holloway’s strength and thickness should allow him to bully his way to the rim against more slender defenders. Since so few teams will be able to match up with Holloway one-on-one, his ceiling depends on how consistent he can be every possession. Holloway has shown flashes of dominance during his career, but has yet to prove he can be a consistent force on a play-to-play basis. Another issue that could arise with Holloway is how he fares on defense. While he is such a matchup problem on offense, the A-10 is full of athletic and perimeter oriented big men. Holloway’s bulk makes him effective down low on offense, but whether or not he is capable of chasing big men in small-ball lineups will be a major question that he and Matt McCall will have to answer. Chartouny’s effective field goal percentage actually went up. .445 to .507. His 3 point % went way up. .300 in conference. Whoops is right, you're correct. I misread the stat lines (ESPN and sports reference list seasons in different orders, going back and forth depending on the player was clearly a mistake). Will fix.